Modernization vs Privatization? How are they connected? During AirVenture there was a lot of talk about how ATC should not be privatized and their theme was “Modernization Not Privatization”. To me, and a lot of pilots I spoke with, the combination of the two elements was confusing. The reality is that Modernizing the Air Traffic System has NOTHING to do with Privatizing ATC, and many people have no idea what “privatizing” even involves. Having lived through the privatization of Flight Service, I do have some insights to pass along. I am neutral on whether privatization takes place or not, but I am very frustrated that pilots are not being given the full picture, and that some private interest groups seem to be tying privatization to modernizing the ATC system as though one relies on the other. The loudest and most concerning rhetoric indicates that our current Air Traffic Control System is out of date and not safe. This flies in the face of statistics which show the U.S. as the nation with the best safety record worldwide. Are changes needed and necessary? Most definitely. What is not being given out to the general public is that many of these changes are already in the works. A decade ago the FAA began a slow, systematic changeover of technology and procedures needed to move the U.S. from RADAR based surveillance to Satellite tracking. The FAA contracted the Lockheed Martin Company (LMCO) to develop and install the ERAM (En Route Automation Modernization) computer system – which is now in all Air Route Traffic Control Centers (ARTCC) in the nation. The FAA’s overall game plan is known as NexGen and anyone can peruse the strategy being implemented by going to their webpage. www.faa.gov/nexgen. This change is massive and requires the cooperation of every element of aviation – not just ATC. Controllers and pilots need to learn the new equipment and procedures. Companies have to sell, install and maintain new equipment on aircraft. It takes years to properly train the entire FAA technical workforce. This is not something that needs to be done precipitously! SLOW is GOOD. At this point the system should come online in 2020 – only three years away. The infrastructure must be solidly in place to support this kind of revolution. Most average people don’t realize that privatization is already being used in some branches of ATC. 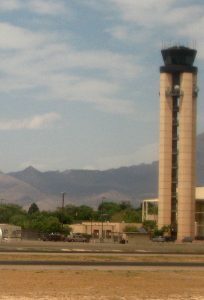 Air Traffic Control Towers (ATCT) are designated in 12 levels based on traffic volume and complexity. For example, Atlanta, Chicago, LaGuardia and Los Angeles are the highest – level 12. Over 150 level one Towers have been managed by four FAA approved private companies since 1994. They are required to use the same procedures dictated in FAA Order 7110.65 as the ones run by the FAA. Most of them have shown a cost savings to the government. It remains to be seen if this could hold true for facilities with higher numbers of personnel requiring more sophisticated equipment. In 2005, the FAA contracted the Flight Service division of ATC to Lockheed Martin. Although many of its responsibilities have altered over time, its primary functions – pilot weather briefing, flight plan filing, and Search and Rescue – are still being performed by Flight Service. They also still issue NOTAMs, relay clearances from other ATC facilities, and handle a multitude of requests from pilots Enroute. The commencement of FSS Privatization was painful, mostly because of how the change was managed. The FAA did not allow any of the bidding companies to go onsite and truly investigate all the elements needed. They were told to meet the requirements of FAA Order 7110.10 and some other contractual documents. As a result the winning contractor, Lockheed Martin (LMCO), was prepared to manage everything contained in the documents released to the bidders – but did not have the full picture. This caused anxiety to the FSS controllers, pilots and anyone who worked with flight service for about a year before it all smoothed out. The lack of direct contact with the working group meant that LMCO was like a college graduate going to work for the first time – they had a lot of “book learning” but had no hands on experience with the realities of what the job entailed. When the FSS bid was released, many people were convinced that allowing a private company to manage flight service would mean that GA pilots would be required to pay for the services they received. Jokes flew about that FSS would be taking credit cards for pilot briefings. That was never part of the contract – the FAA was contracting (PAYING) a corporation to manage Flight Service. To my knowledge the U.S. is the only country in the world that does not charge individuals to use either FSS or ATC services. Right now the fear mongers are attempting to indicate that privatization of ATC will automatically mean that this will change and that private companies will be able to do everything from charging separately for services to “choosing” what aircraft will be given priority handling. I ask you, if the FAA is paying a company to manage its facilities, how does that mean that individuals would now also pay for the services they provide? If the companies chosen to manage the facilities are required to adhere to FAA Orders and Regulations, how are they going to be allowed to give priority outside those specified by those orders? Right now you can look up FAA Order 7110.65 section 2-1-4 which dictates Operational Priority of aircraft. Many people feel that keeping ATC in government hands will ensure “fairness” and a continuation of services the way they are. Privatization as it has been so far has had little to no impact in this direction. Over the last few years the pilot’s I’ve spoken with have nothing but praise for how the privatized towers are run and how Flight Service is being handled other than wistful reminiscences of a time where they could do walk in preflight briefings. LMCO is still required to ensure the services provided to the aviation community met the requirements of all FSS related FAA orders and documents – and they did so aggressively. Every FAA facility I have worked in has had one Quality Assurance (QA) specialist who generally oversees the performance of individuals. However, in my observation there was no real consequence for sloppy work other than a slap on the wrist. But part of the first year FSS was privatized saw LMCO and the FAA hammering out “Performance Measures” by which the FAA could judge whether or not LMCO was meeting the terms of the contract. These ranged from items such as how many seconds it took for a specialist to answer a radio call to how complete and accurate was information given during a preflight briefing. All FAA contracts require that the administering companies meet the performance measures set out for them or there is a financial penalty. Since the companies who win the contracts do so for money – they really hate having to forfeit anything. The Quality Assurance team gathered by LMCO works closely with the FAA’s national QA team to keep the standards high. With every consolidation that knowledge base was diminished. Small facilities closed into larger ones and those who transferred to larger facilities were required to study “area knowledge” packages of the expanded geographic regions. There is no way any one person can have the comprehensive knowledge over many states that was common for a person to have for the environs of one small section of a state. The FAA compensates by releasing a plethora of documents covering everything they feel pilots need to know – so it can be researched. The problem is that many times pilots don’t know what they should be looking for. Example – If you are flying from Albuquerque to San Francisco you will go right over the Grand Canyon – does it automatically occur to you to see if there are any restrictions to flying at low altitudes in that area? 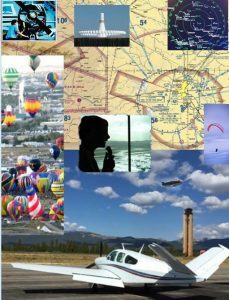 An FAA Preflight briefer knowledgeable in the area would automatically ensure you were aware of them. I’ve also heard there are fears that a private company would direct their employees to show favoritism in some manner to various groups – but that also flies in the face of established FAA orders. The 7110.65 paragraph 2-1-4 specifies the priorities controllers must use when handling aircraft. Keep in mind that privatization will probably not be something “given” to just one company – the system is just too big. One company could possibly manage all the ARTCC’s, but more than likely the towers would continue to be managed by several different entities.